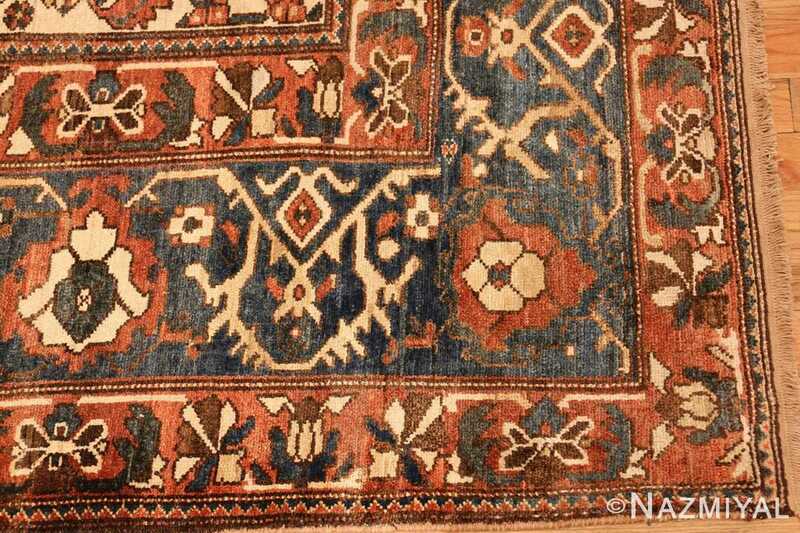 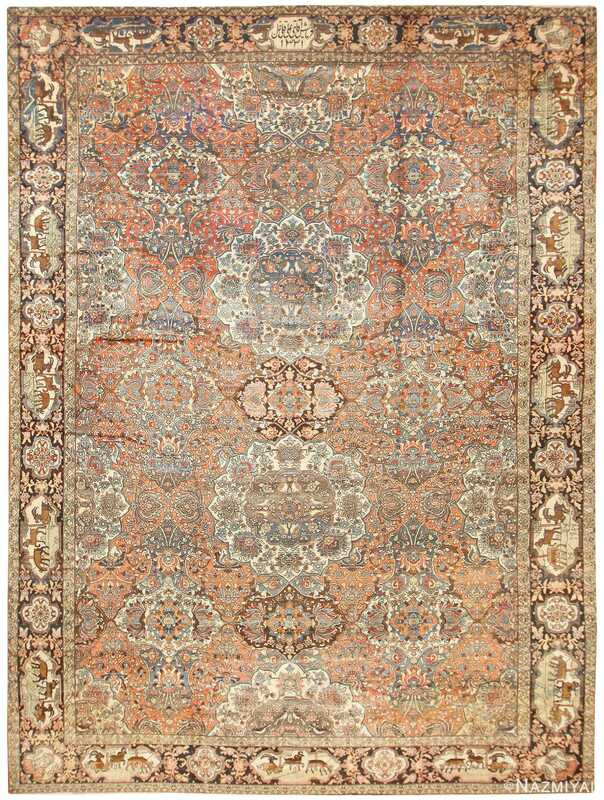 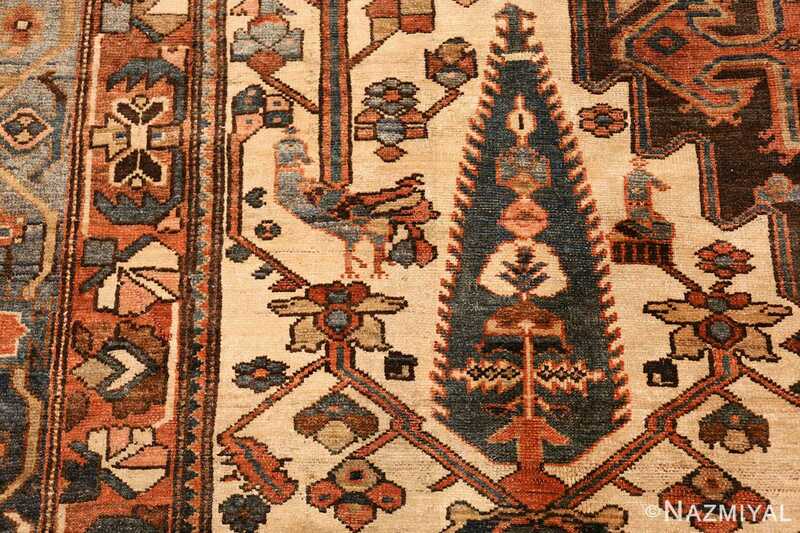 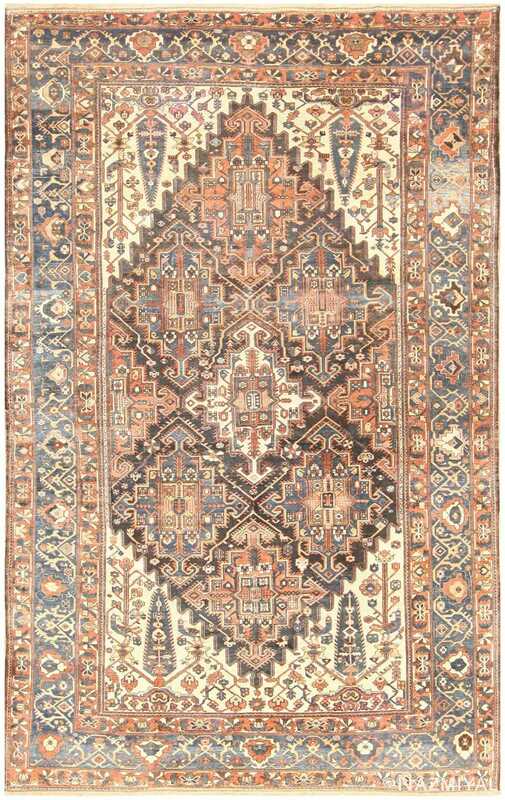 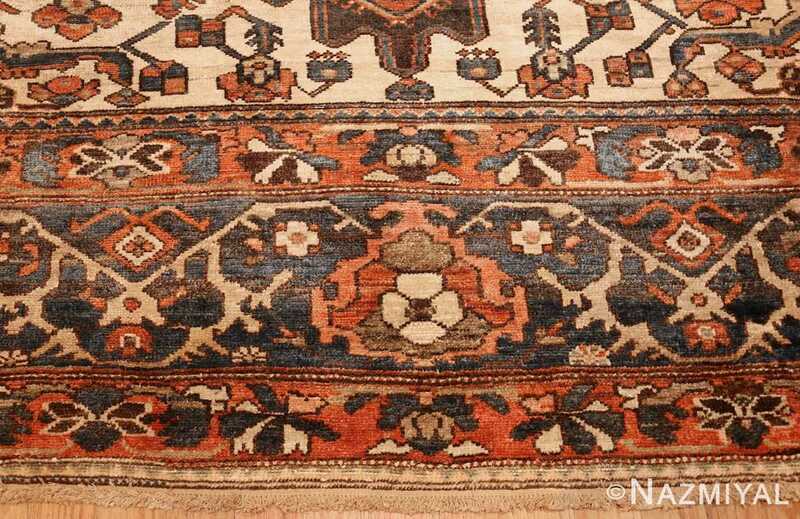 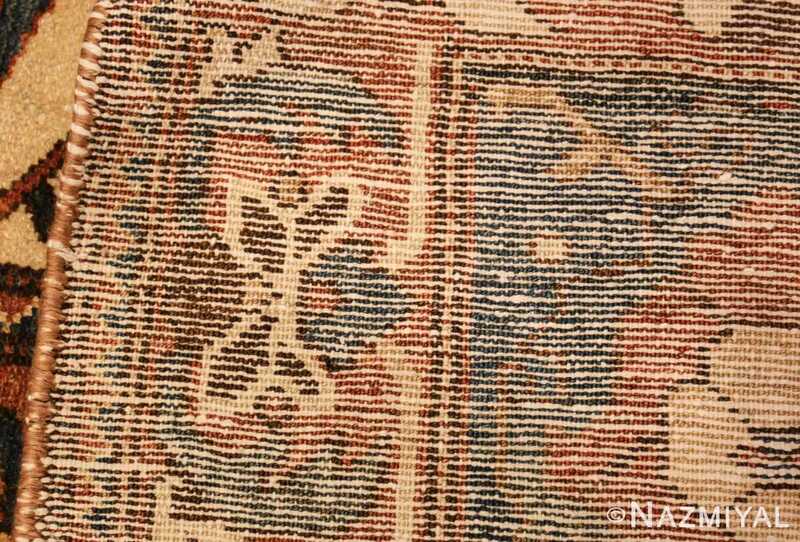 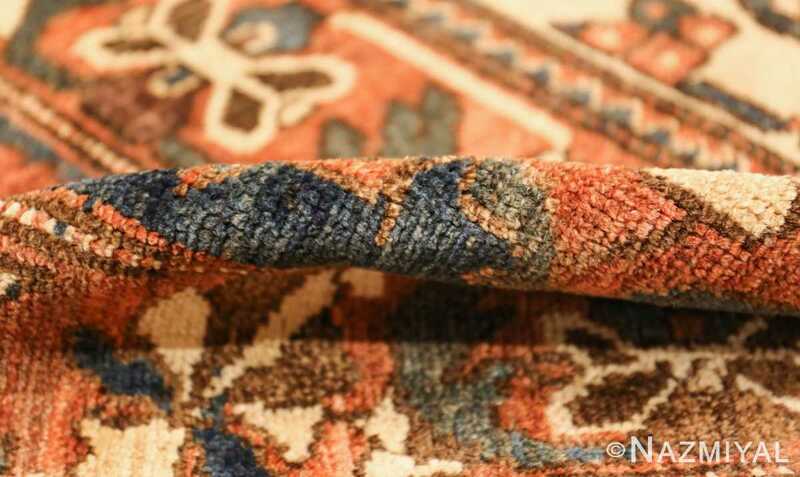 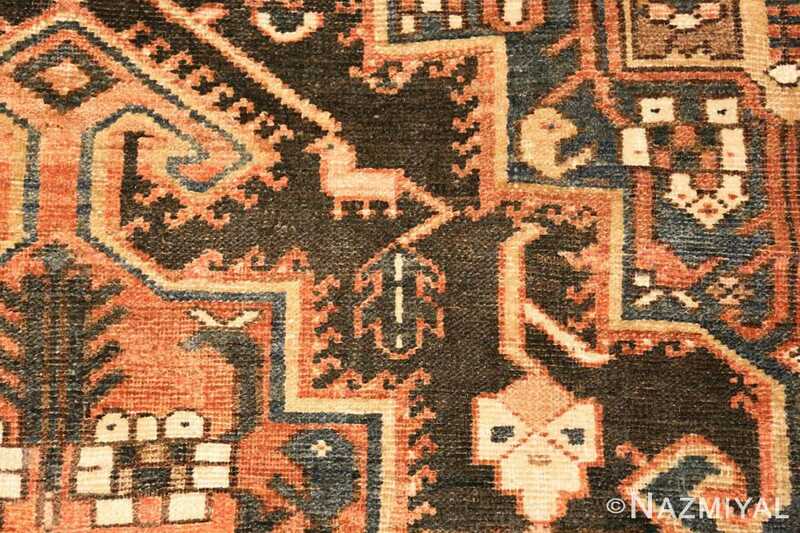 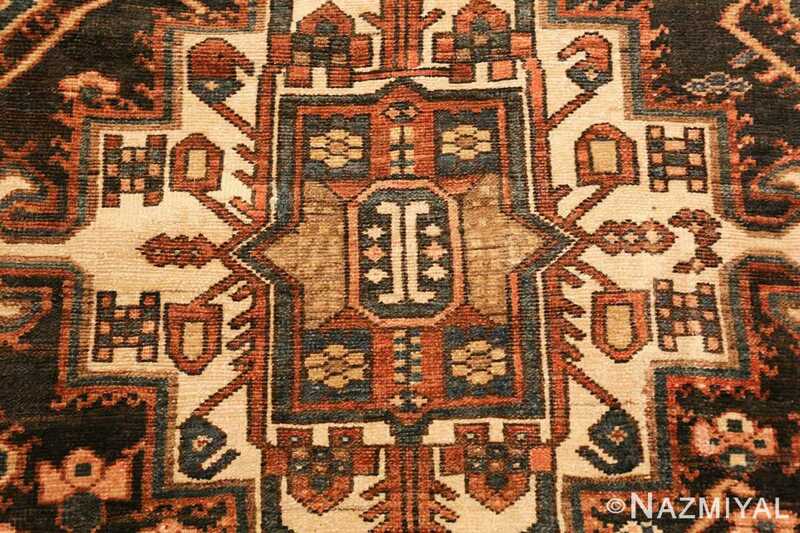 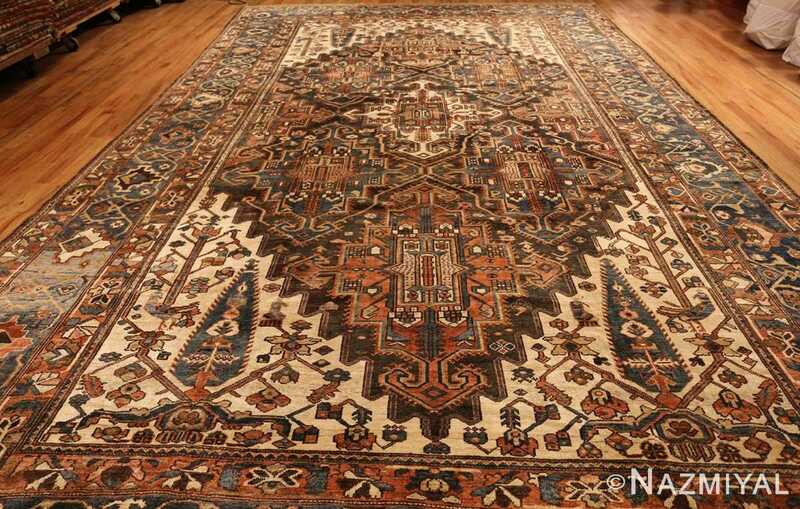 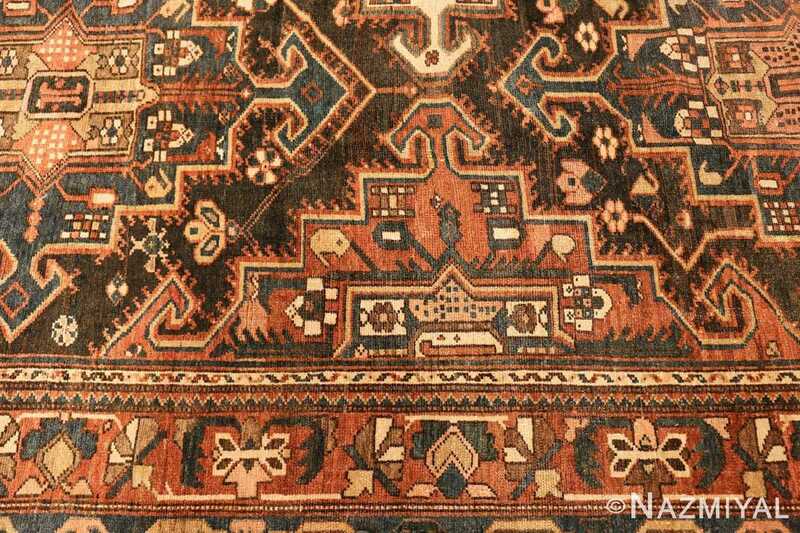 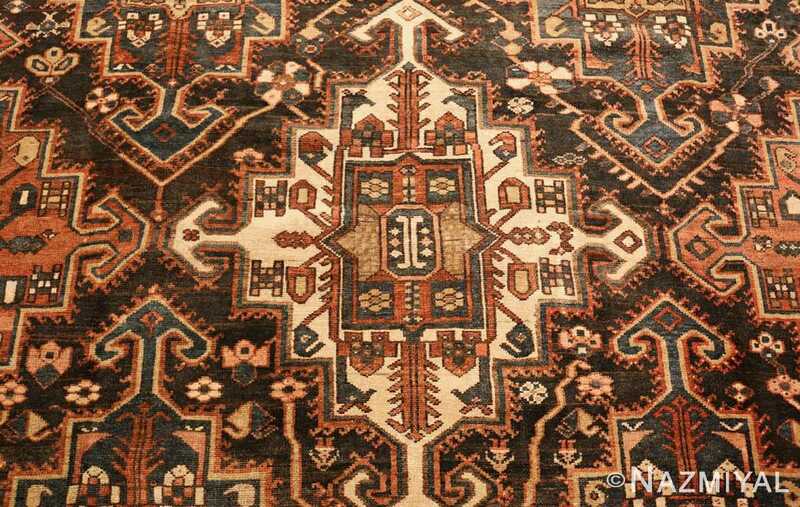 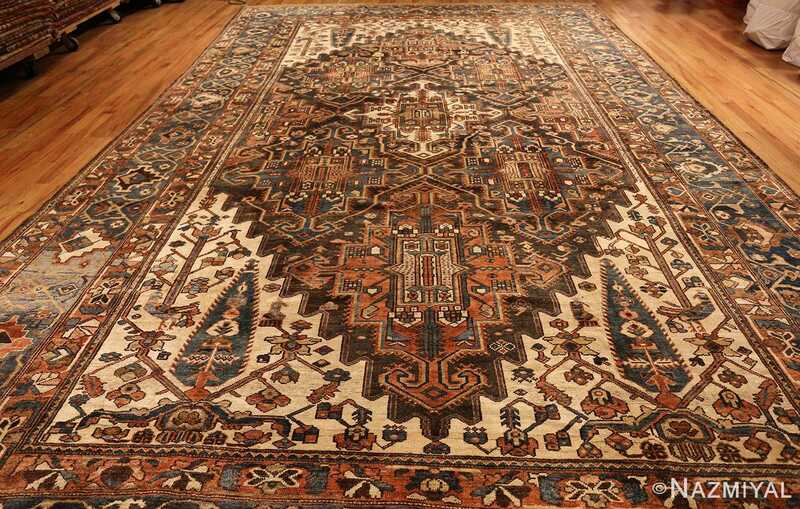 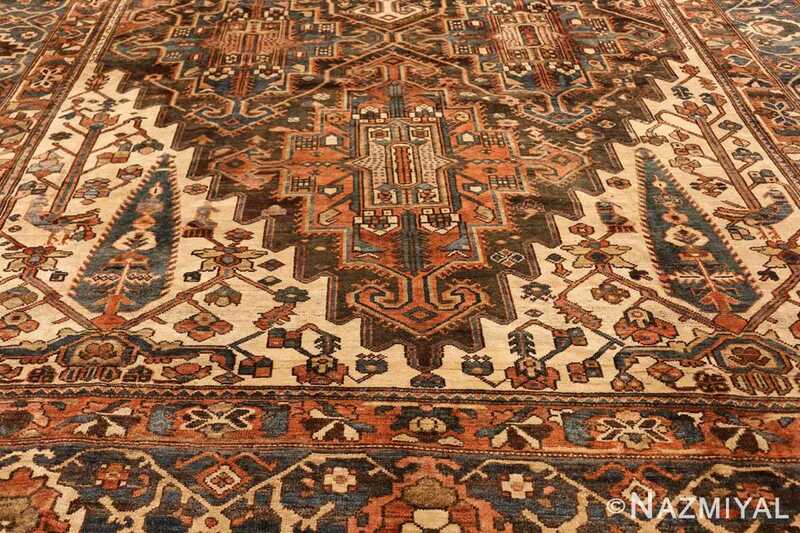 Antique Bakhtiari Carpet, Persia, 1920 — Fiery influences abound in this visually stunning antique carpet from Persia and images of warm coals and embers come to mind as the viewer’s eye is led from one part of the carpet to the next. 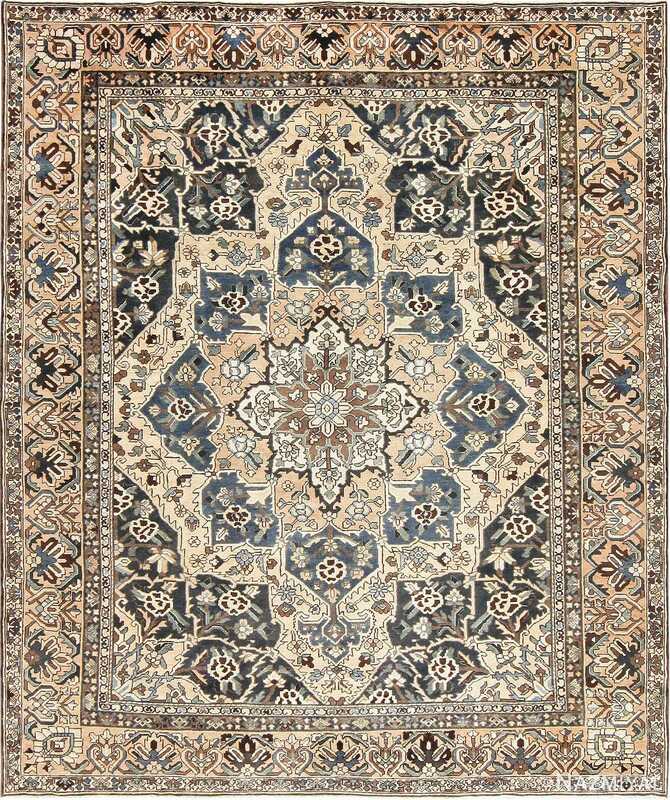 Rich vermilion, mellow buttermilk and deep black tones set boundaries and contrasting points throughout the carpet as they draw attention to the angular composition that does not take away from the graceful presence of twisting stems, curling leaves, and fluttering petals. 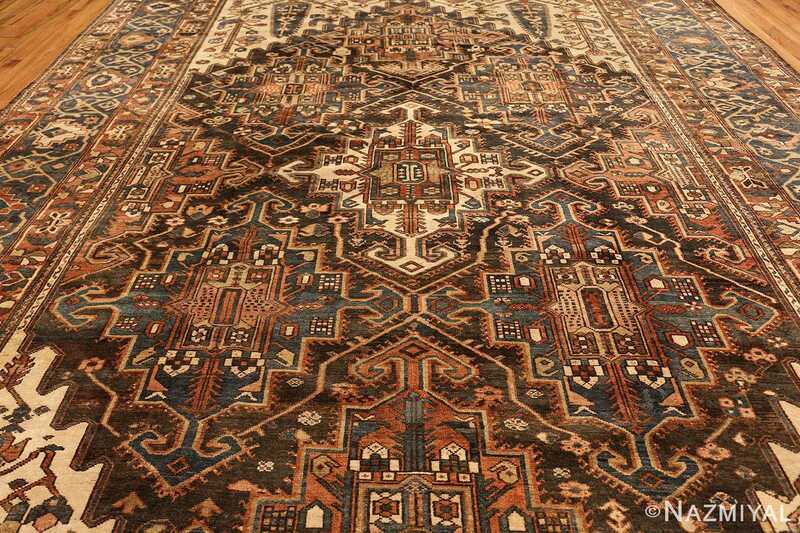 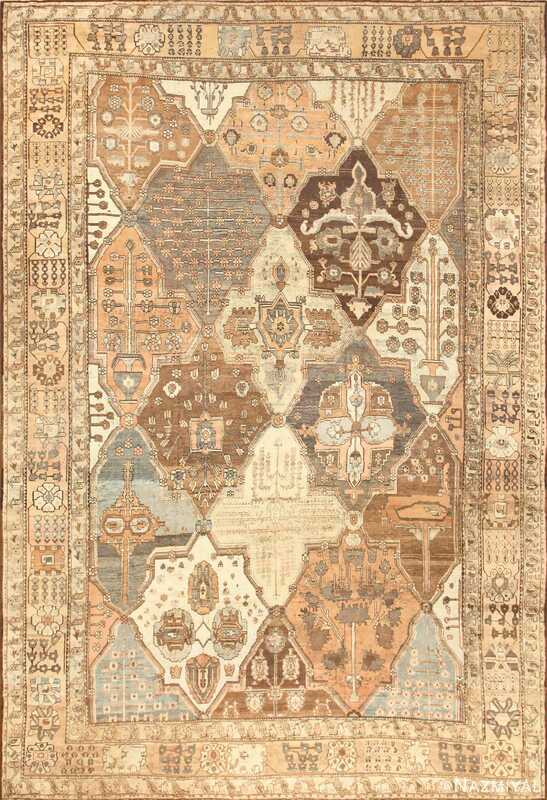 At the center of the carpet is an arrangement of seven large diamonds, snugly set against each other within the red borders of the carpet itself, which creates a grounding presence for the viewer to enjoy.